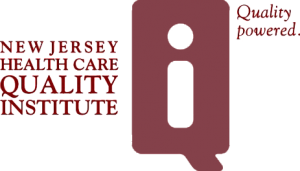 The New Jersey Health Care Quality Institute is the only independent, nonpartisan, multi-stakeholder advocate for health care quality in New Jersey. We are committed to improving health care quality and safety, expanding access to good care, and controlling costs for employers and consumers. Our mission is to undertake projects and promote system changes that ensure that quality, safety, accountability and cost-containment are closely linked to the delivery of health care services in New Jersey. The Quality Institute convenes a unique community. Our members come from every health care interest: consumer groups, physicians, nurses, health plans, hospitals, accountable care organizations, employers, unions; foundations, pharmaceutical companies, and innovators. We are the only place in New Jersey where competitors, friends, advocates, industry, reformists and others sit together and objectively discuss health care policy. We believe that collaboration is essential to improving health care.